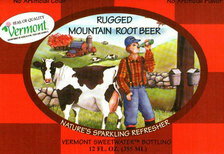 Case of 24 Rugged Mountain Root Beer, a refreshing taste like Grandpa used to make. 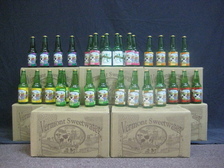 Vermont Sweetwater Bottling Company, is a small family owned and operated company producing nine all natural beverages, made with the finest ingedients. From the light and refreshing taste of the Vermont Maple Seltzer to the bolder, rich flavor of the Vermont Maple Soda, they have proven winners with the maple flavors. Vermont Sweetwater Bottling Company is a small Vermont family owned and operated bottling company, producing nine all natural beverages, made from only the finest ingredients. 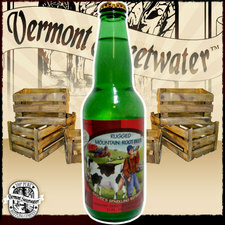 © 2004-2019 Vermont Sweetwater Bottling Company All rights reserved. Website Designed by Little Frog Innovations, Inc.